Free event: Data Protection Day: What Does the Internet Say About You? To mark Data Protection Day and to celebrate the upcoming launch of LIFELOGGING, Trinity College Dublin’s Information Compliance Office has teamed up with Science Gallery Dublin and Information Systems Services to find out WHAT THE INTERNET SAYS ABOUT YOU. For those of us working online this could be an interesting discussion to attend or get involved with. It’s a free event in JM Synge Theatre in the Trinity College Arts building tomorrow evening. When: Wednesday 28th January 2015, 6pm-7.30pm. Where: JM Synge Theatre, Arts Building, Trinity College Dublin. Tickets: FREE but you must register here. Found via Dublin Event Guide for Free Events. There are many things I am looking forward to at the 2011 Kilkenny Arts Festival. From the first moment I heard the words rock-opera though, I was intrigued. I had been wondering what would be the thing this year that everyone would be talking about? The universal topic separating them from us among the crowd of friendly strangers and new friends at the arts festival. Last year, without a doubt, it was The Smile Off Your Face. “Have you been yet?” “Did you enjoy it? How did it feel?” “Did he do that thing, with your hand?” – it seemed that eventually everyone you met asked the question or answered it from you. The Kilkenny Arts Festival launched this morning in the grounds of the beautiful IMMA in Dublin amid the song of a Baroque Choir. Or so I am told as I couldn’t make it along. Each of the bloggers this year have taken charge of blogging a particular strand of the festival. I’ll telling you all about the Theatre & Dance Strand. Each of the strands are curated by someone who works (and usually lives and breathes) the art that they are curating. This year Tom Creed has taken on the Theatre & Dance Strand and again it looks magical, as it did last year. I’m very excited about the festival again this year! Know the movie industry? Want to write about it? Every month we want to produce an ezine called ‘It’s A Wrap’. It will cover film news, gossip, interviews and competitions. We are looking for a journalist with an avid interest in movies and the film industry to write this this exciting ezine. The new ezine, needs to be about half as long as the previous editions. One of the perks of the job is that you will also be able to go to press screenings of movies coming up, a week or two before they are on general release! And you may get to interview some of the top people in the film industry. Naturally this is not a full time job, more of a ‘nixer’ on the side. The contract will be for 12 months. Payment will be on a monthly invoiced basis. The fee per ezine is €250. There may be other opportunities to supplment this income. One of the highlights of my summer last year was the Kilkenny Arts Festival. Purely by accident I was asked to work on the online PR for the festival which I did and as part payment got to go down to Kilkenny with Darragh for the first weekend and go to as many shows as I liked. We really packed them in and saw a great variety of shows, performances and gigs. I promised myself that I would go back this year no matter what and luck intervened again – I’ve been asked to be one of a large team of bloggers blogging events at the festival. Yay! I wonder what the talk of the town will be this time round? Last year it was definitely this. Kilkenny Arts Festival runs from 5th -14th August 2011 and you can check out the programme once it has been announced on kilkennyarts.ie. I haven’t got time for that! How many times have you thought of volunteering and then thought, “I haven’t got time for that!”? Many people are under the impression that to volunteer requires dedicated hours every week for an indefinite period of time. And for volunteering with some charities, particularly helplines that require you to undergo extensive training, it is true. However there are many things we do from day to day that most of us don’t think twice about but are considered volunteering all the same. Maybe you offer a lift to a neighbour who has no car? Maybe you call on an elderly neighbour for a chat or to see if they need anything in the shops? Maybe you mind children for a friend so they can get some valuable time out with their partner? All are a form of volunteering – giving your time free of charge for someone else’s benefit. On 1st October next, Volunteering Ireland will be celebrating a National Day of Volunteering and they would like as many people as possible to participate. One idea is the Random Act of Volunteering. They are asking that everyone make an effort to do one thing for someone else on that day, no matter how small. 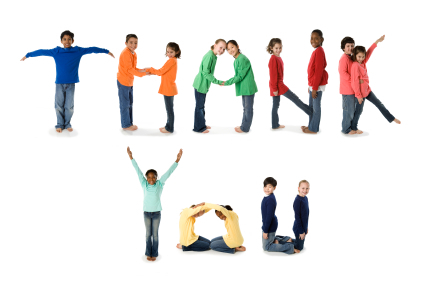 And if you really can’t do anything, then maybe you could thank the people you know who volunteer their time or services either by thanking them in person or by adding them to the Thank You Roll of Honour on the website. “Even if a person can just do just one small thing on the day, such as walk an elderly neighbour’s dog, or register to give blood, it does make a difference. And, as all the research indicates, helping in this way is just as beneficial for the volunteer, as it is for the recipient”, Dr. Yvonne McKenna, CEO of Volunteer Centres Ireland says. 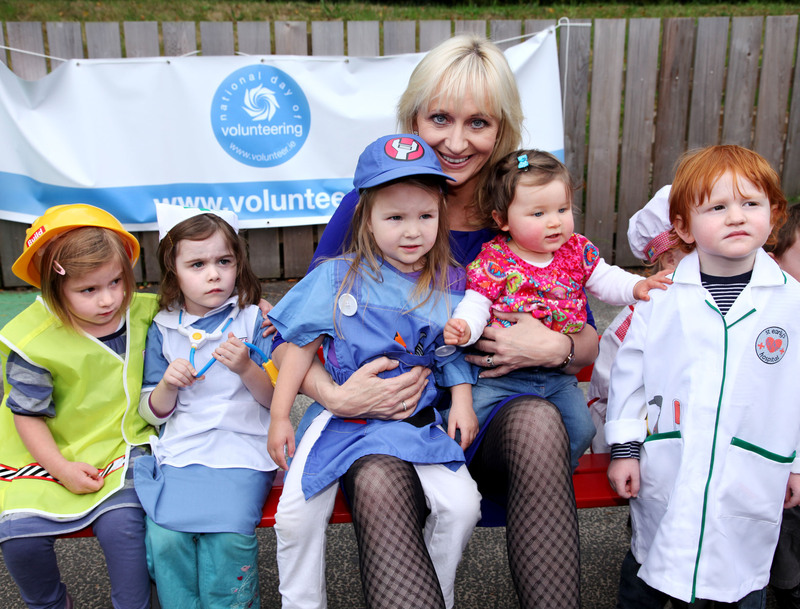 It’s not all about helping others – volunteering can be good for you too. VolunteerMatch, a US counterpart of Volunteer Centres Ireland, released a study in April 2010 showing that volunteering not only enhances physical and mental health, but also strengthens relationships between employers and employees. Key findings were that 68% said volunteering made them feel physically healthier, and 29% of volunteers suffering from a chronic condition said volunteering helped them manage their illness. 73% of volunteers reported lower stress levels, and over 75% volunteering through work said they felt better about their employer as a result. If you want to find out more about the National Day of Volunteering, please follow them on Twitter, visit the website and tell as many people as you can about it. I was very lucky to be invited to go along to the Yelp Elite Event for August recently and when I saw that it was being held in Murphy’s ice cream shop, how could I refuse? Although it’s a huge institution in the US, Yelp has only entered into the European market this year and has been making good progress particularly in Dublin. All that is thanks to Annie L, or as you may also know her @yelpdublin on Twitter. Annie *is* the Yelp Dublin team, all of it. And she did a great job in organising the August event. 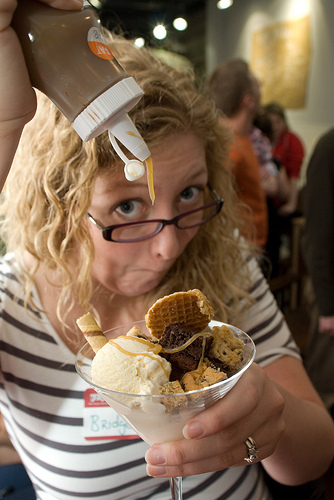 Yelpers were invited to create a sundae of their own concoction at a sundae bar at the back of the shop where an array of ice creams, sorbets and toppings were laid out for everyone to make their own. With it being one of the warmer nights of the year, ice cream was a welcome treat in between chatting to other Yelpers. The idea of the Yelp events is to get people to new venues, get the venues some new customers and fans who will also review on Yelp.ie adding content and value to the site. If you are looking for a restaurant, hotel, bar, shop – Yelp is the kind of site that will tell you where it is, how good it is and what is good to order. You can also check-in to venues in a similar way to FourSquare, Gowalla, etc., becoming a Duke or Duchess if you check-in there most. If you haven’t already, you can sign up for a free Yelp account here – and if you would like to read the reviews of the event in Murphy’s or add your own, you can do so here. Many thanks to Annie for organising the Yelp events, I am sure it will be the first of many – I’m looking forward to the next one! Rothe House, High Street, Kilkenny. Friday 6th August 2010, 8pm. What could it be? What would happen to me inside the darkness of a blindfold where my imagination and senses of sound and smell were all I had at my disposal? I couldn’t not do it, so I signed up myself and Darragh. The show was free and time slots were going fast. We arrived about 10 minutes early for our 8pm slot but there were very few people around. The serenity of the Rothe House courtyard was perfect for it, there was a spiritual, almost religious feel about everything, people talking quietly about their experience and the experiences of others. Almost immediately an older gentleman was wheeled out with a big grin on his face. His daughter was waiting for him, smiling herself with the shared knowledge and shared experience. Darragh was invited to take the now empty seat in the wheelchair, I took a quick photo of him and off he went. Libraries – I think when most of us think of a library we think firstly (and maybe only) of books. But these days the library is a focal point for many groups, a community hub, an information point and a refuge from outside life. You can now borrow cds, dvds, computer games and paintings to hang temporarily in your home. You can read the daily papers. You can look up local historical archives in the reference section or practice your language skills in the language room. Maybe these services are not available in all libraries but a selection of them certainly are. Aside from these facilities, there are many other group meetings going on from day to day in the library. Children’s Events: Tuesday 3rd August at 7pm : Beginners Hip Hop (9 to 12 Years). Second session Tuesday 10th August 7pm. Please book at desk. Friday 13th August at 3pm : Puppet show with Julie-Rose McCormick (Ages 3-10 Yrs.) All welcome. Monday 16th August (10am to 12pm) : Party-time with Mr. Podzo (arts & crafts, magic dress-up box, storytelling, party games & much more (Ages 4-13 Yrs). Please book at desk. The Last Airbender Movie : Look for details in your local Library in early/mid August about “The Last Airbender” competition! Grow it Yourself: The Co-operative Group to support growing your own food meets on Tuesday 31st August at 7pm. All welcome. This helpful exhibition about travelling in Europe will be on display in the Reference Section during August. Questions about Europe? Visit the Library’s Europe Direct Centre – your local link to Europe. South-West Fingal Heritage Society / Cumann Oidhreachta Fhine Gall Thiar-Theas meets once a month on the last Saturday of each month from 2pm to 3.30pm. Enquiries to Aingeal on 0868438812. New Conversation Groups in Spanish and French have been set up in the Library: (i) Spanish Conversation meets each Monday at 7pm and (ii) French Conversation meets each Tuesday at 7pm. All are welcome to practice their language skills. The Irish Conversation group meets every Saturday at 12 noon and the English Conversation Group meet on Wednesdays at 7 p.m. All are welcome. St. Brigid’s Photography Group meets every Wednesday in the Library at 7 p.m. New members welcome. The parent and toddler group meets each Tuesday from 11am to 12 noon and each Wednesday from 11am to 12 noon. 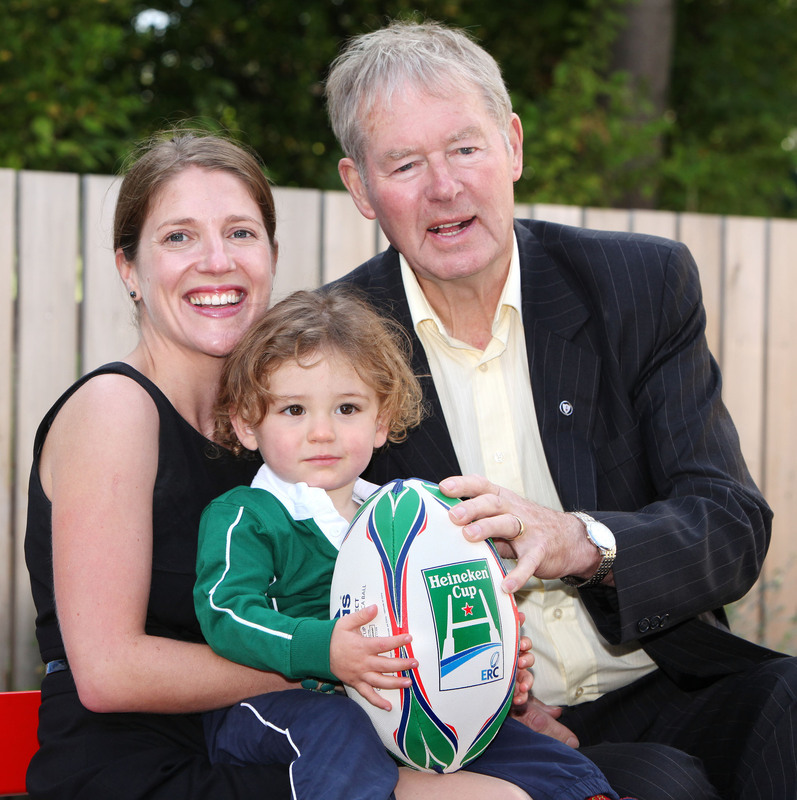 GROW – mental health movement in Ireland. The Blanchardstown Library Show is broadcast every Friday evening at 7.30pm on Phoenix 92.5 FM, with a new edition on the last Friday of every month. Oh and the most important part of all this? It’s all FREE. After a bit of a break, the Booze and Schmooze networking events will make a return next week. Booze and Schmooze is run by Alan Duncan and they are primarily aimed at those in the media and PR industry though this net is now widening to include marketing folk this time round. I have yet to attend a Booze and Schmooze event so perhaps next weeks will be my perfect opportunity. Much like a caterpillar becoming a butterfly (or for my fellow nerds, Gandalf the Grey becoming Gandalf the White), we’ve changed a few things with the aim of making these events even more worthwhile. 1) No longer will our events be confined to just one venue. Unlike the Government we’re here by the people, for the people. The democratic state of Booze ‘n’ Schmooze (more commonly known as Inebriationland) will vote on venues and we’ll do our damnedest to organise them there. 2) There are no more presentations – these interfere with the boozing and the schmoozing. We will strongly encourage as much mingling as possible though. 3) While Booze ‘n’ Schmooze is primarily for the media sector, we’re going to open our doors up to those from the land of marketing too, as we believe they’ve got something to bring to our proverbial table. The reason for Booze ‘n’ Schmooze’s existence has not changed. Below are a few key points about us. Free monthly networking event for young journalists, PRs, other media workers (and now marketing folk). 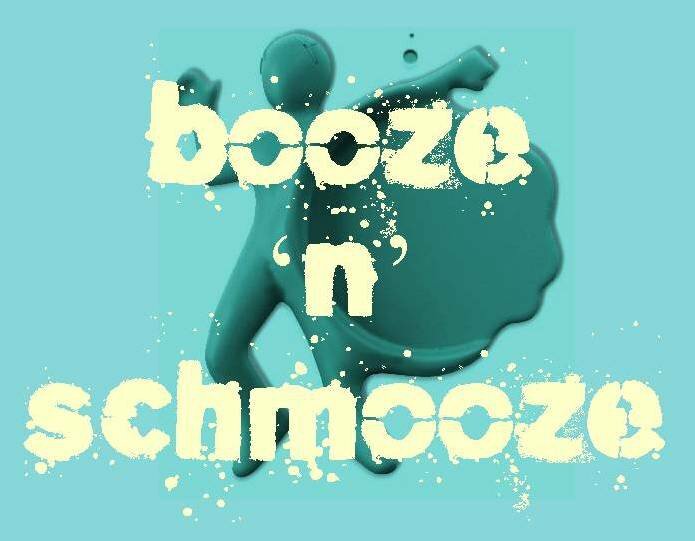 The aim of Booze ‘n’ Schmooze is to provide a relaxed environment in which to make useful and interesting contacts – essential to their success in the industry – without the awkwardness involved in formal networking. Targeted at professionals, who are starting out or about to start out in their chosen industry and, of course, anyone who can employ them. Lots of free finger food and great drinks promos. So what are the need to know details? Booze and Schmooze will take place next Thursday at 6.30pm in The Sycamore Club on Sycamore Street, Temple Bar, Dublin 2.